LAMINATING There are 18 products. 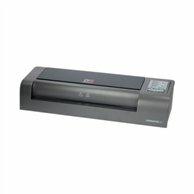 Easy to use, small and quiet laminator with unique design. Works in technology of hot rollers with very short preheating time. 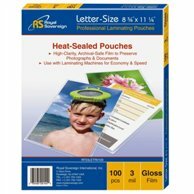 It has 2 standard modes for laminating with most popular pouches. 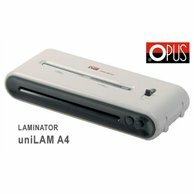 The cheapest office laminator in our offer up to A3 size with a unique design. 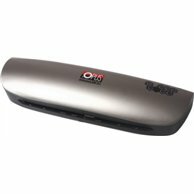 It uses modern technology for lamination of heated rollers. Quickly reaches operating temperature. 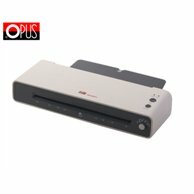 It has two standard modes for laminating most popular films. 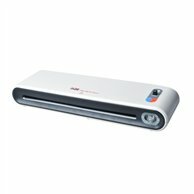 Modern, easy-to-use office laminator designed for hot and cold lamination. Uses hot rollers technology which provides the best results. Warm-up time of less than 90 seconds. Three standard modes for hot lamination (80, 100 and 125 microns) and cold lamination. 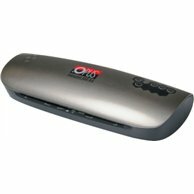 Office laminator for A3 format. With unique design and short preheating time. Works in technology of hot rollers, does not require a carrier. Programmed three laminating modes (for pouch: 80 mic, 100-125 mic, 175 mic). 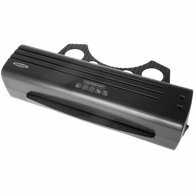 The Citylam A3 is a neat effective laminator for the office using the latest technology with 6 sizes of pouches, with a cold lamination option, reverse and forward function. Audible warning system lets you know if the equipment is ready to use.